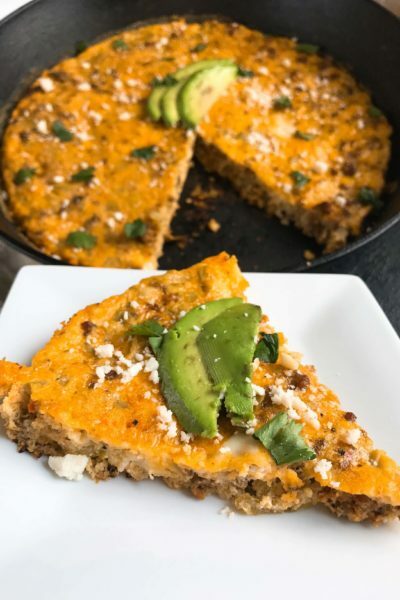 Even when I am looking for quick and simple recipes, I still want something special and full of flavor. 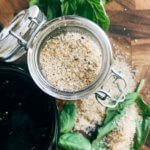 Seasoning salts like Basil Balsamic Flavored Salt is a great way to do just that! Boring and plain food makes me sad. Sometimes it can be difficult to make something simple exciting. 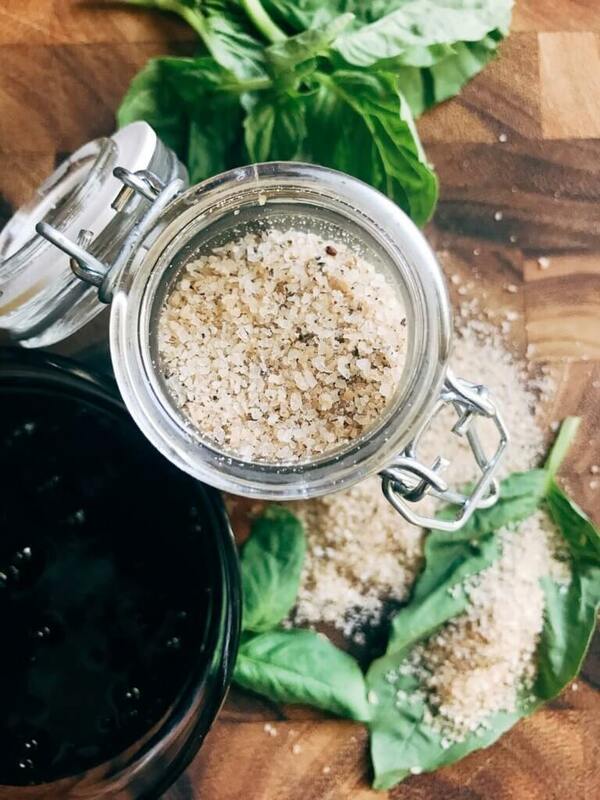 That is where flavored salts like this Basil Balsamic Flavored Salt come in. It is a great way to spice up a simple piece of chicken, pork, steak, or even vegetables with exciting flavors. I love to let the flavors of the salt shine to appreciate the mixture. 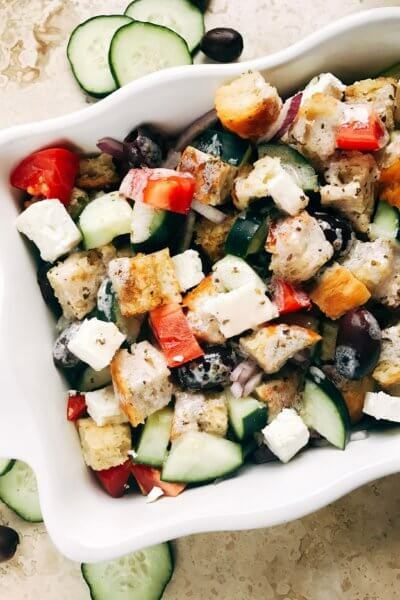 Try out this Basil Balsamic Flavored Salt on some great bread drizzled with just a little olive oil. It is amazing! 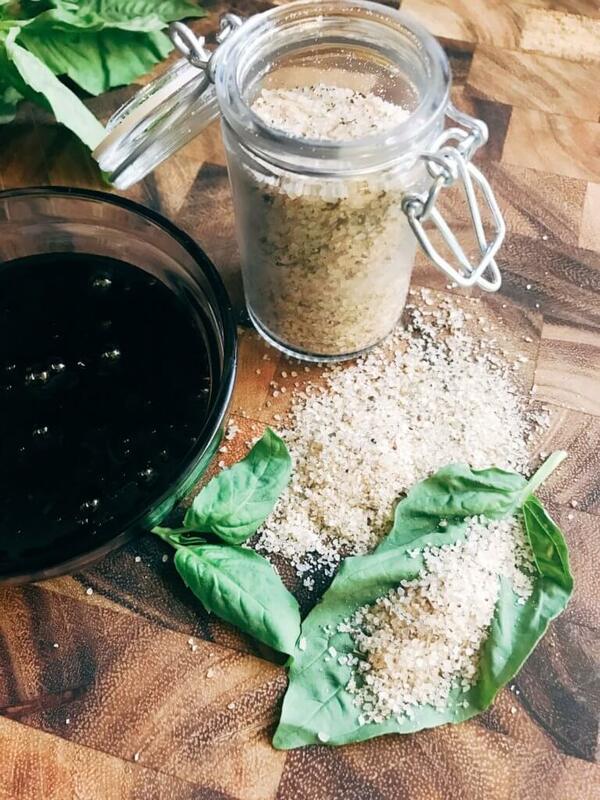 This Basil Balsamic Flavored Salt is crazy easy to make, guys! Literally just put the ingredients in a food processor, pulse, and you are done! You can use it right away if you want, but the flavors do develop more if you are able to let it sit for a day or longer. It is best to use a small food processor to ensure the blade can reach the ingredients and get a good blend. 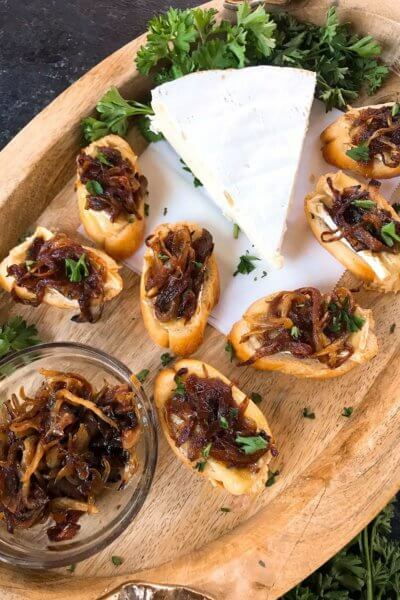 Make sure to tag us on social media if you try out any of our recipes! We want to see your lovely creations! 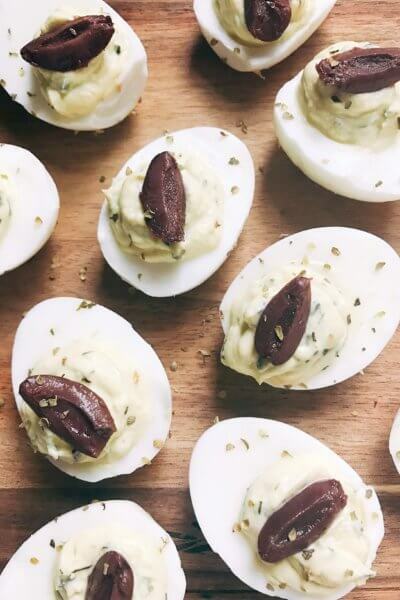 Find more of our flavored salt recipes here! 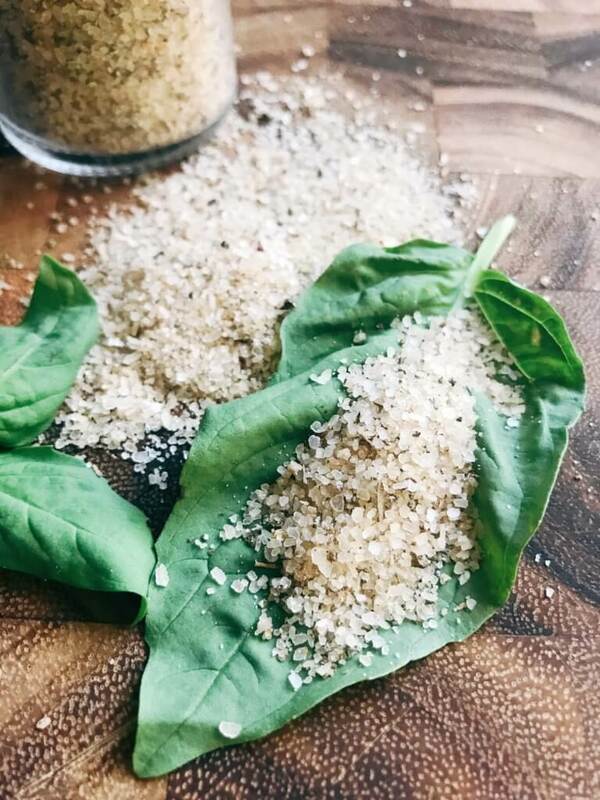 A simple flavored salt that is great on so many things! Also a fantastic and fun gift for the cook or foodie in the family. 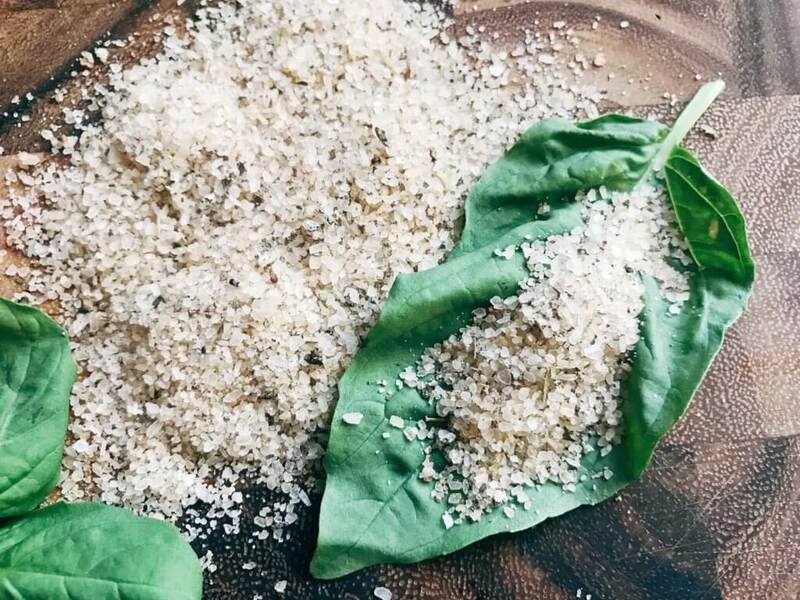 Place the salt, dried basil, and balsamic in a small food processor. Pulse just a few times until everything is incorporated. The salt will be slightly wet from the balsamic. 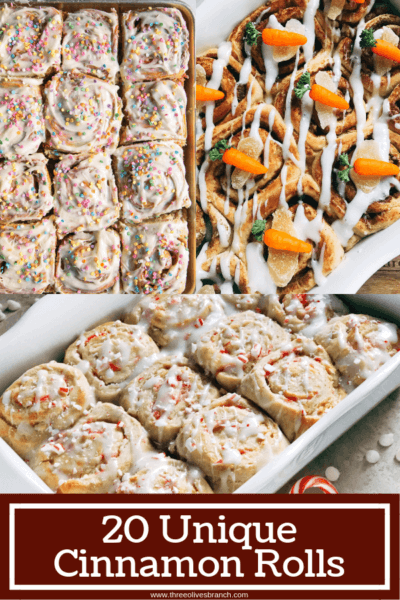 Spread the salt out on a baking sheet and let dry either in a warm oven or overnight. It might stick together a little, but you can easily break it up with your hands when dried to store. Pour the salt into a container for storing. The flavors will continue to build over time. Place a pinch of dry, uncooked rice in the container to help keep it from caking and absorbing moisture. It is best to use a small food processor to ensure the blade can reach the ingredients, although a larger one will still work. I love to use jars like this to store the flavored salts in, but you can also use empty spice containers. These jars would fit approximately half of one batch of salt.